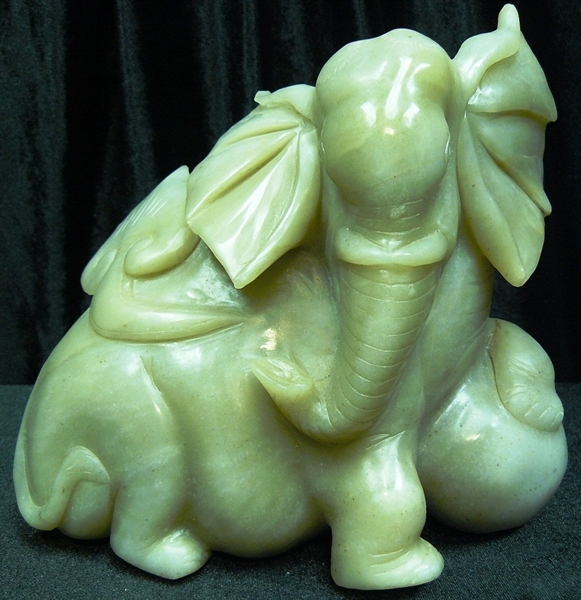 This ELEPHANT is made from solid piece of HIGH quality natural Jade. 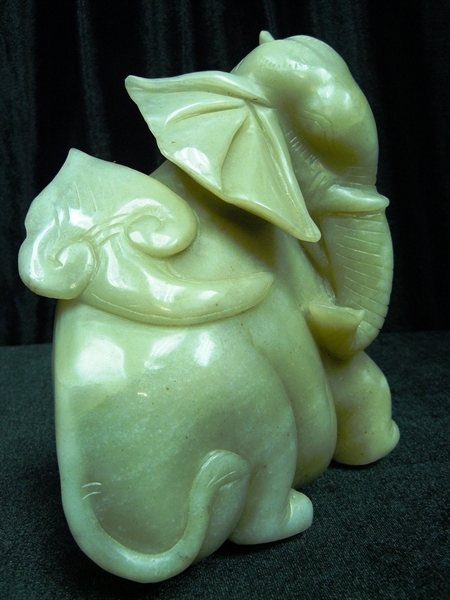 Very detailed carving.It is grey color. 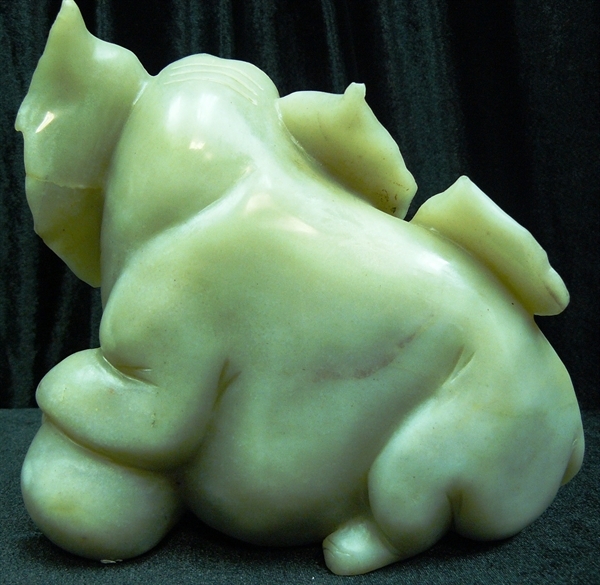 The elephant is stepping on a ball.